This quote hung on my grandmother’s wall and I read it often growing up. Smiling doesn’t necessarily change what is going on around you, but it does change the way you look at difficult situations. Instead of thinking “why-me”, try to be optimistic. You can choose to make the best of any situation. If you don’t like something change it; if you can’t change it, change the way you think about it. When in tough circumstances, you get creative. You get resourceful. 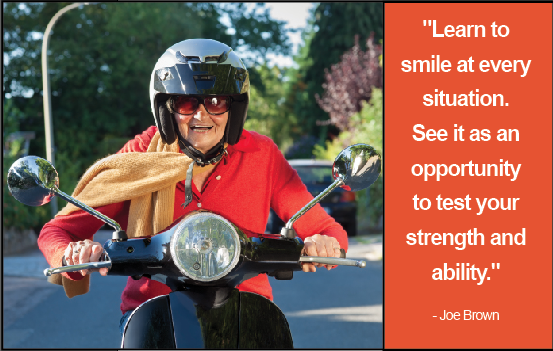 Smile, embrace the challenge and see what you are capable of.